Malleable dorsal and palmar aluminum stays. The Pro Advantage Lacer Wrist Orthosis is constructed from high quality materials for enhanced durability and patient compliance. 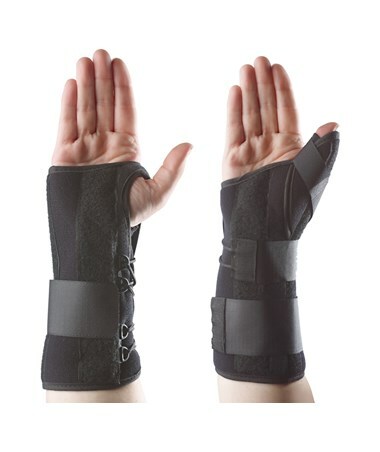 Anatomically designed and made of breathable, cottony-soft, moisture-wicking liner and high performance brushed nylon laminate exterior, with malleable dorsal and palmar aluminum stays. 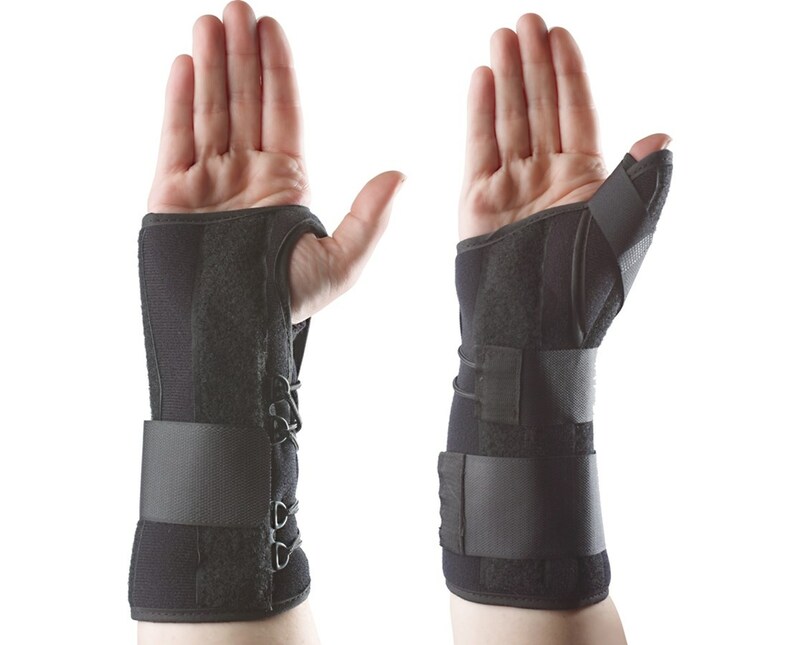 It is indicated for Carpal Tunnel Syndrome, tendonitis, sprains or strains, soft tissue injury, wrist contracture and post-cast removal. Available for left or right hand part, with or without abducted thumb. Please choose your preference from the dropdown menu above and click "add to cart" to order now.